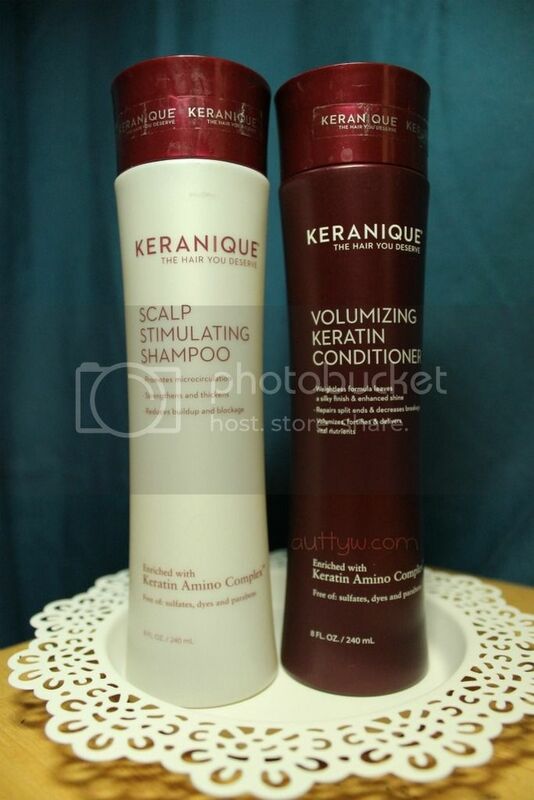 AuttyW: Stimulate and Volumize Your Hair With Keranique! 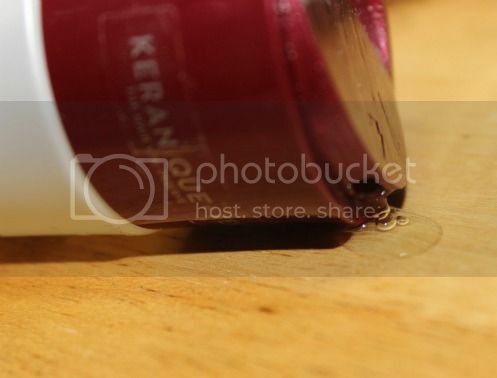 Stimulate and Volumize Your Hair With Keranique! Keranique is a new to me hair care brand. I had never heard of them before iFabbo, but then again I find that is what happens with iFabbo. They teach me about brands that I probably would have never discovered on my own. That is one of the reasons that I love iFabbo. 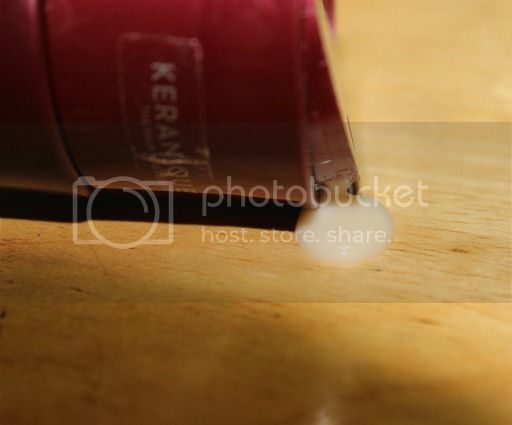 Keranique says that they are a hair regrowth solution for women. Now, my hair isn't exactly falling out, it is shedding and I consider that falling out because my hair is just...it's my hair. Heh. It is thin and doesn't like to hold a curl and it has zero volume. SO when I saw that this was a Scalp Stimulating Shampoo and a Volumizing Keratin Conditioner I was probably more excited then I should have been. Shampoos and conditioners are something that I am always up to testing! Now, as usual I had my Mom test this out with me because that is what I do. I like getting second opinions when it comes to things like this. Why? Because I find that it's helpful to have two opinions since my Mom and I have two different types of hair. Hers is thick and has volume and mine is exactly like my Dads. thin and no volume, Girl, I am okay with having thin hair, I don't know how you ladies with thick hair do it. My Mom was the first to try these out because I had washed my hair the night before and hers was in need of being washed. The first thing she did when she got out was ask me if I had used it yet and I told her no and asked why. She told me that it felt like it was burning her forehead. She had gotten some on her forehead and she said it burned a little bit. It wasn't bad enough to leave any marks and it went away after a few seconds but she wanted to let me know about it. She then told me that she actually liked the shampoo and conditioner because it actually made her hair feel clean, soft and conditioned. If that makes sense. She had tried one previously that made her hair feel like it was straw and nothing she did made it feel any better. 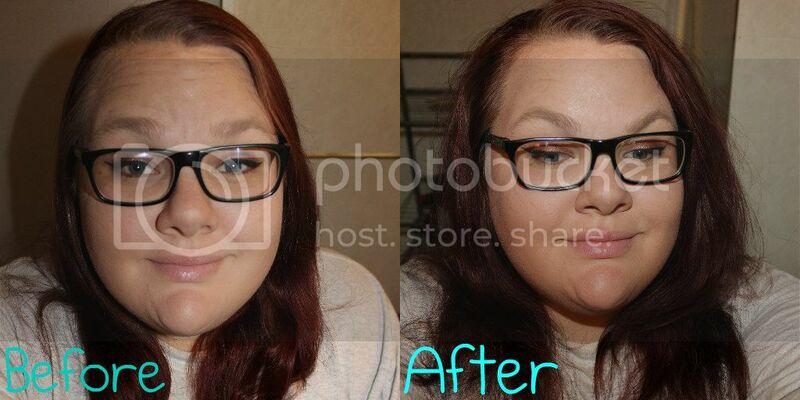 She was also amazed at how much extra volume her hair had. It was actually kind of comical, think of a mullet on a woman. Hilarious! As per my experience, I went on to try and figure out why she felt the burning sensation. The first thing I did when I opened the shampoo was I noticed the scent...I smelled it because I have to smell everything. I'm one of those people. Anyways, it hit me instantly that it was the peppermint that made her scalp feel like that. Now, I put the shampoo on my scalp and I could feel the cooling "burning" effect of the shampoo. Like My Mom said though, it's not anything to be concerned about. It's really not that bad. I think if you were to keep it on, then maybe it could possibly venture into the burning territory BUT I think it was more of a cooling sensation that she was experiencing then anything. Now, this shampoo made my scalp feel insanely clean. Not like, overly clean where my hair is stripped of all of it's oils. I actually found that I don't need to put as much hair product in my hair as I had to do in the past with other shampoos. Which, I bloody love! For the conditioner, the smell on this one is a little weird. It isn't the glorious peppermint scent that the shampoo has. The way I described it to my Mom and Chris was like a old, rotten peppermint maybe? It's one of those smells that I'd prefer to not smell but you know that I will because it is me. However, smell aside I really like this. It gives my hair just the right amount of moisture that it needs. I like to work this through my hair with my Olivia Garden Divine Brush, which is made for brushing wet hair. I used to have a comb but I think my Niece got a hold of it because it disappeared. Oh well! I like the brush better anyways. Look at that, I went off topic, I'm sorry! I've got really bad dermatitis on my scalp and usually changing shampoos makes it act out, I mean it was to the point that I stopped using conditioner because it made it worse. The one thing that I like is that the conditioner moisturizes my scalp to the point that the flakes aren't so bad. The downfall of using the conditioner like it suggests on the bottle? You're putting it on your scalp and my scalp gets oily within two days instead of in two weeks, so I guess that is my only issue with this. Issues aside, I'm really enjoying the conditioner and shampoo, my Mom is enjoying them as well which is a double win in my opinion! Do I think they are worth the $49.95 price tag though? Yeah probably not. If the bottlers were bigger, than maybe. Check out their website as well as the other products that they offer! This post contains press samples from iFabbo. All opinions are my own.